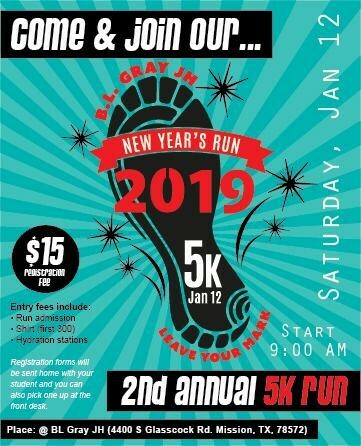 Leave Your Mark at the 2019 BL Gray New Year's Run! Join us for our second annual run. This year, SPTSO will be hosting the B. L. Gray New Year's Run. Leave Your Mark on January 12! Click on the registration form below. Fill it out and leave if with our receptionist, Mrs. Urive.